We are leaders in providing flooring and flooring supplies. We dedicate ourselves to getting hard-to-find products from all over the world. Many of our customers are local. But some clients drive all the way from San Diego, (almost 2 hour drive), Lancaster, Riverside, Orange County, and all the other surrounding cities to see us. We always spend the time to help you with advice over the phone, emails and via our forum. We test and check every single product we post on our web site or sell in our store. We test new products by giving some for free to our selected contractors. We ask them to use them and give us their opinion. I myself have tested and/or installed most of the products we sell. So I am able to help you with your questions. More importantly, I can determine if a new product should be sold by Flooring Supply Shop or not. In some cases I have returned the full amount when asked even after almost 90 days. Yes I am in business to make money, BUT money it is not the underlying motivation. I have been in business for over 18 years. I intend to be in business for many more years. The only way I can assure that is by being better than all others in quality and service. Most products sold on other websites are sold with self-interest. Others will say only good things about the product just to make the sale. They have no other choice; they need the sale. 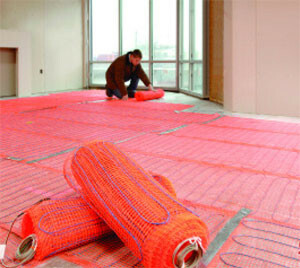 However, FlooringSupplyShop.com has years of experience and many choices with our entire line of products. As a Licensed General Contractor, Flooring Contractor and ASB, I have lots of choices. I use my wealth of experience to select some of the best products that I have used over my many years of field testing and working with different lines of products. Yes, I refuse to sell some well known brands and allow other known and lesser known brands. Some very well known brands I have completely removed from my web site and store, when either the pricing or product itself does not make sense. Products that are too costly, or have poor performance, or require excessive time and labor to install properly don’t make the cut. 1. Quality of product (rough and finish). 4. Is there a better product for the same or less money? 5. Ability and desire of manufacturer to offer full warranty and technical support. Then and only then do I directly contact the manufacturers (never the middlemen). I negotiate and sign contracts to get the best possible pricing. I pass the lowest possible pricing on to you, our customer. In some cases like tempered glass shelves, I discovered they are very expensive on other websites. I could not find it cheaper anywhere, so I asked a glassmaker that I have given business to for years to make me some. I spent about 4 months of research. I spent money to purchase a few brands to test them. I asked some of my contractors’ customers about their experience with SunTouch and other brands also. 1 They are easy to install by either a professional or homeowner. 2. The available sizes in stock can fit almost any room size or shape. 3. They are the best priced considering the material and labor for the end user. I decided to carry the line of SunTouch. I can proudly say I am a stocking distributor. I promise to keep a high inventory level. Just stop by and take home one of our SunTouch products or accessories. I make a big effort to find the right products for you. So when you see a new product on our web site, just remember I put in days, weeks and sometimes months of research, negotiation, and trips to other states and countries to get you the best available. You can be assured that you are getting the best. Most online stores are just a drop ship site. We proudly invite you to our beautiful warehouse showroom store. While you are here we kindly offer you coffee, cold water, cookies, and good candies. I want you to know that I myself do the hard work and long hours of finding and selecting the best materials and products for the best prices possible for you. All emails are sent to the appropriate department, and a copy comes directly to me. I answer many of your emails personally. I make sure any issues are followed up with the department mangers. I follow each email until all issues are solved, all requests satisfied, and all questions and or return requests are answered, often within minutes. Just read some of the testimonials on our web site to see how we take care of you. Many others promise this. We don't just promise it, we do it. In many cases, even orders received after 5:00 pm are delivered to UPS by me or one of my employees on our way home. Why do we do that? Customer service. We care about you. 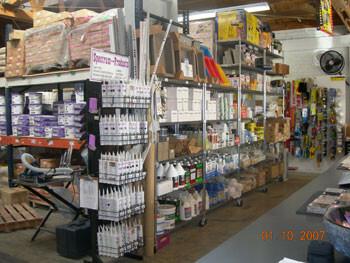 FlooringSupplyShop.com stocks over 25,000 items in our Warehouse Store. They are ready to ship the same day. Our products include Tile Tools, Bathroom Accessories, SunTouch Electric Radiant Heated Floors, heating thermostats, loud mouth monitors, setting materials, flooring systems by Blanke Corp, Tile, Tile Borders, Tile Trims, Glass Tile, Metal Tile, Pebble Mosaics, Stone Mosaic, Travertine, Slate, Hardwood Floors, Quick Pitch, Pre Pitch, Kirb Perfect, Shower Recess, Shower shelves, Shower, Preformed Shower Pan, Shower Slope System, Grout Grabber, Ebbe square shower drain, and Grout Removal tools. FlooringSupplyShop.com carries tools and accessories from over 40 different manufacturers, including Alpha Professional Tool, Schluter Systems, SunTouch A division of Watts Water Technologies, Inc, Innovis corp., Better Bench, Recess it, Grout Grabber, 3M, Shaw Industries, Mohawk Industries, Daltile, and Ebbe. We have sold these products all over the U.S and Canada. Our special online products are the recess and niches. You can use them as shelves for soap and shampoo, or a stand for candle light or flowers. Our Schluter System line includes shower System, drain system, SunTouch A division of Watts Water Technologies, Inc., Blanke UNI-Mat PRO, Blanke PERMAT, Blanke ULTRA DRAIN, Schluter KERDI, and Schluter KERDI-DRAIN. Our quick pitch system is a slope ready system for any area where slopes are needed. Our grout grabber is a great grout removal tool for easily removing old grout to be replaced with new clean fresh grout. Our preformed Ready to Tile shower pan is easy to install. It can be ordered in any shape or size. Our line of Diamond blades includes Glass Diamond Blades, Ceramic Diamond Blades, Elite Diamond Blades, Premium Diamond Blades,and more. Our High quality line of Sealers includes, Aqua Mix Penetrating Sealer, Aqua Mix Same Day Aerosol, 511 Impregnator Sealer, Aqua Mix Sealer’s Choice Gold, Sure Seal Aerosol Sealer, Electrical flooring heaters, and many more. At FlooringSupplyShop.com you can find thousands of items including unique and hard to find products.